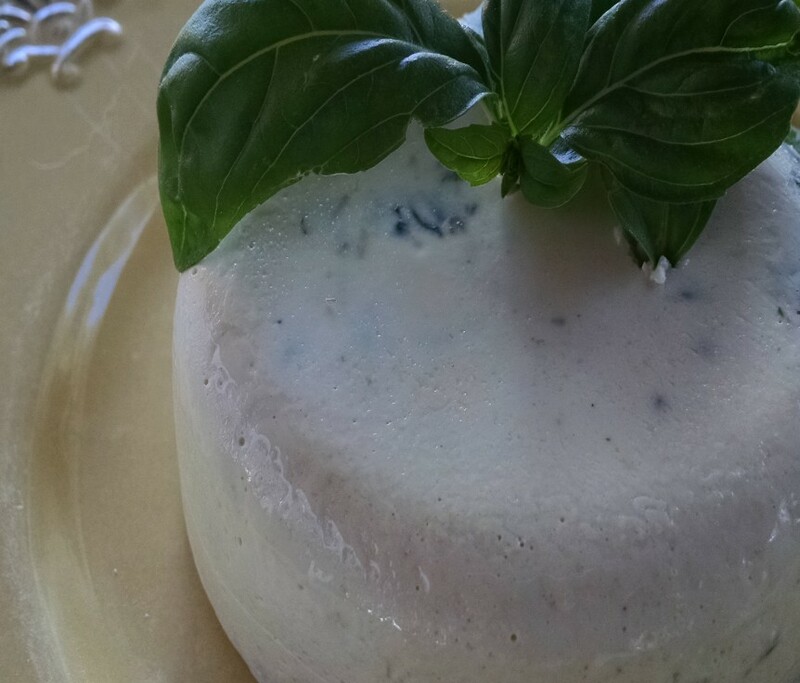 Almond & Cashew Pesto Cheese - Vegans Eat What? Vegans Eat What? 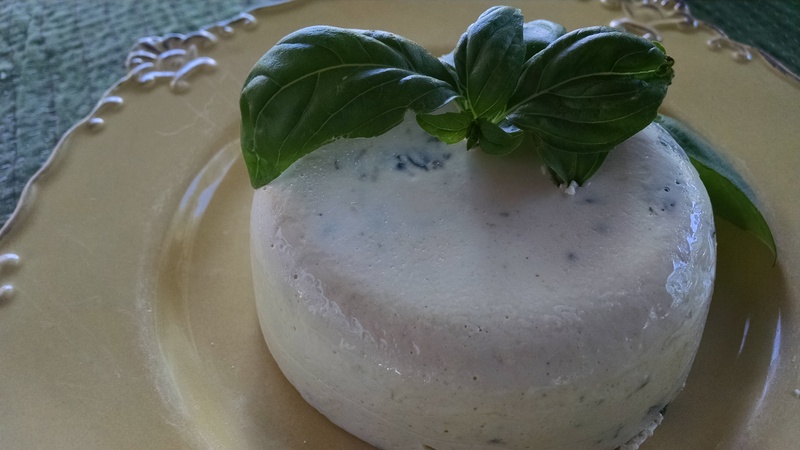 This cheese is good alone or used to make quesadillas, grilled sandwiches, rollups and more. In a food processor, pulse the basil, garlic and pepper until finely chopped. Remove from the processor and set the pesto aside. Lightly oil a 9″ x 5″ loaf pan or several medium-sized ramekins. Clean and dry the bowl of your food processor (from making the pesto) and grind the cashews and almonds. Add the lemon juice, olive oil, liquid smoke, nutritional yeast, salt, onion and garlic to the food processor. Process the mixture until everything is combined and you have a thick paste. In a medium sauce pan, bring the water and agar powder to a boil. Keep the mixture at a boil for 5 minutes, whisking often. After the agar mixture has boiled for 5 minutes, remove it from the heat and immediately whisk it into the cashew/almond mixture. You can do this step in your food processor if desired, but be careful as the agar mixture will be hot. Once the mixture is smooth, quickly add in the pesto and stir by hand once or twice. You don’t want to fully incorporate the pesto. Immediately pour the cheese into the prepared pan(s). Place the cheese in the fridge to allow it to firm. Once firm, you can remove the cheese from the pan(s) by running a knife around the edges.